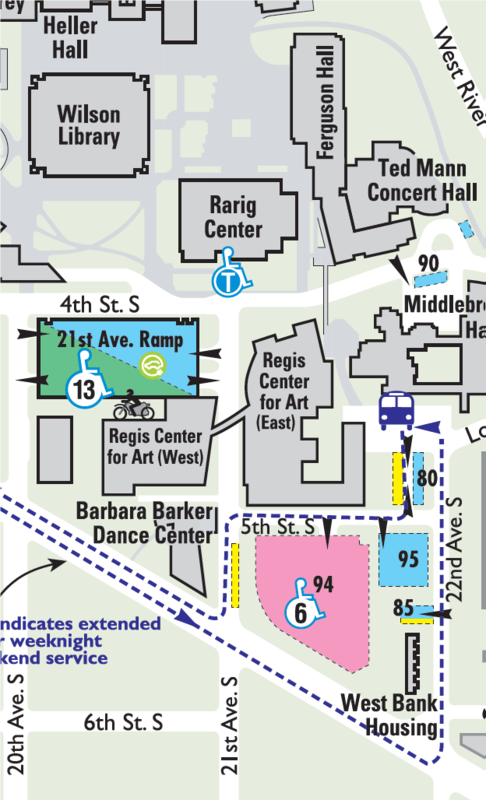 Two main parking areas are available to the public within a short walk to Ferguson Hall. The 94 lot is accessed from 5th street and charges a daily flat rate of $5, but fills up relatively quickly. The 21st avenue ramp is accessed from 21st Ave. S. (ignore the entrance markings on the 20th Ave. S. for contract parking), and charges per hour with a minimum charge of $3 and a maximum daily charge of $12. Additional meter and street parking may be available on Riverside Ave and surrounding areas.